Domestic Abuse, are you a Victim? 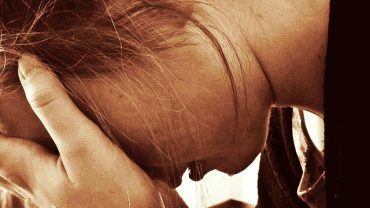 Many women experience domestic abuse in the marriage or dating relationships. A Christian woman is not exempt from this abuse. I have even known of well-respected Pastors and spiritual leaders who abuse their wives and husbands. What do we mean when we say abuse? What is domestic abuse? It is the practice of physical, spiritual, emotional, financial or verbal maltreatment, by a person living in your household. It is usually a spouse or boyfriend, but can also be a child or someone else in your home. Many Christian women live in homes where they are subject to physical abuse by their spouse. Abuse can also include physical mistreatment of a husband by a wife. A woman is to obey her husband, but not to the point of disobeying God’s will or Word. eg. Being beaten by your partner. An addicted spouse wants you to use with him. Your spouse wants you to perform and ungodly act with someone. Your spouse wants you to be abusive to your children in the name of discipline. There are many situations where you must obey God rather than your husband/wife. God also expects us to have common sense in these situations. Being physically or emotionally abuse is the opposite of true love. True love puts others first and seeks to consider the needs and desires of the other person. The Bible says, “Love is patient, love is kind…. It does not dishonor others, it is not self-seeking, it is not easily angered” (1 Corinthians 13:4-5).